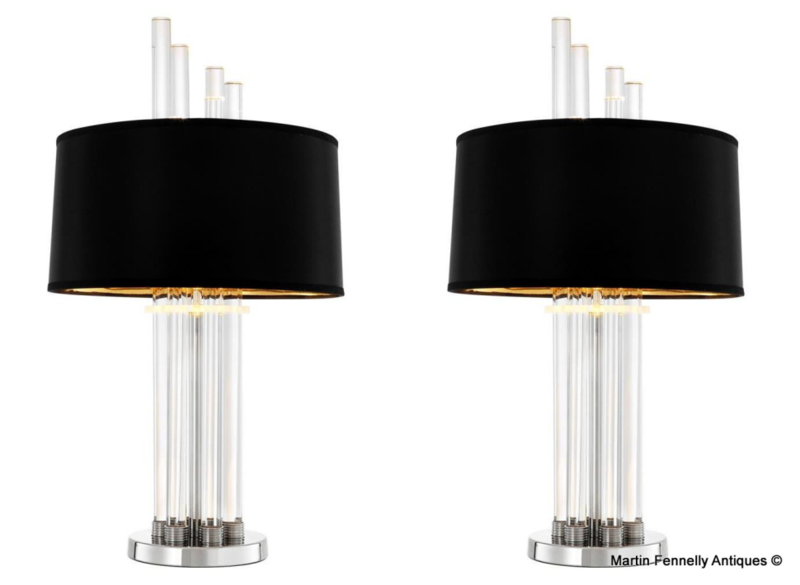 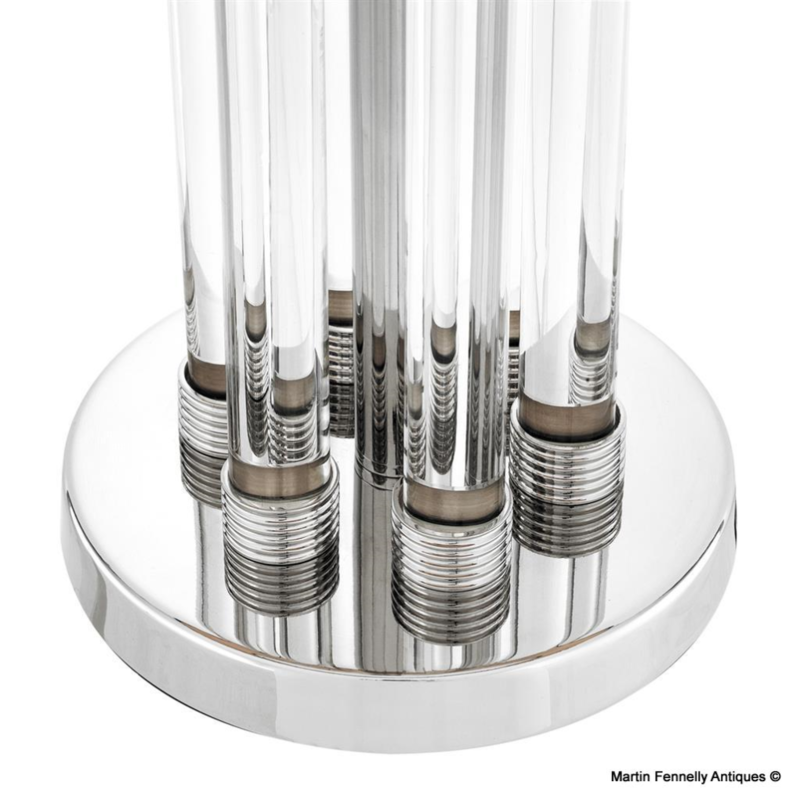 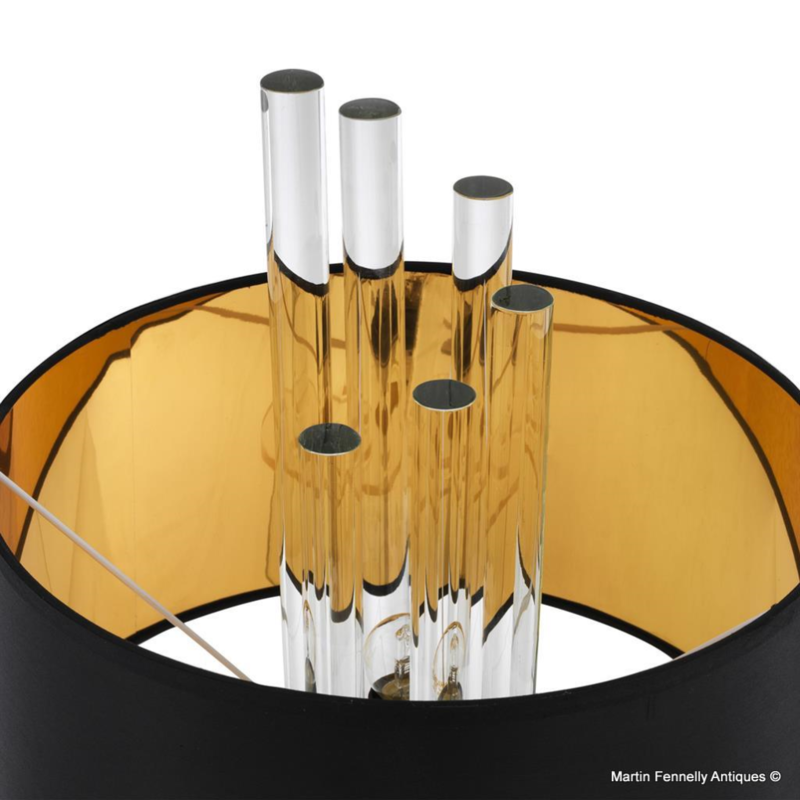 Bring some next level luxury to your home with this pair of superbly designed Nickel and Clear Glass Table Lamps. 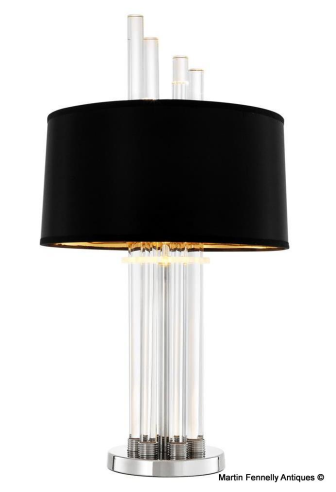 These beautiful lamps will bring the glamour of a bygone era to your very own home. 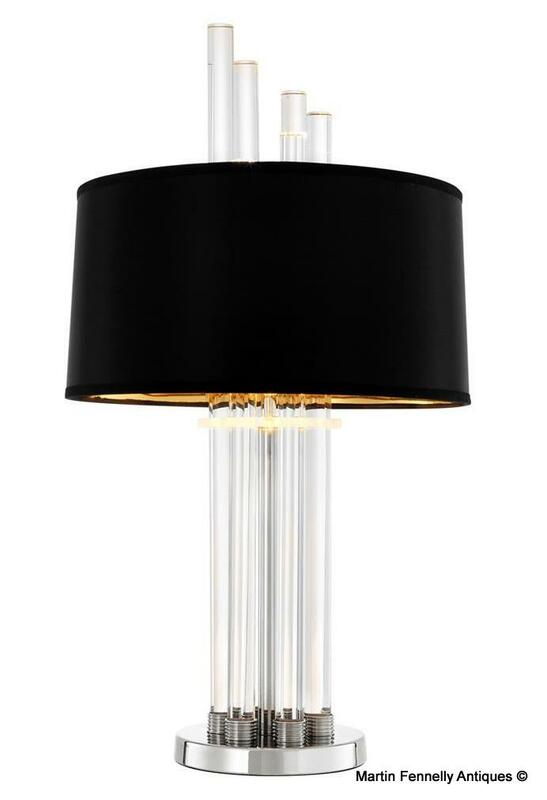 The circular lampshade features a gentle taper, creating a warm, inviting glow. 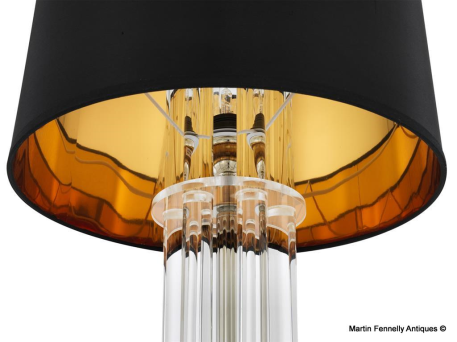 Contrast the elegant modernism and affluence of these fabulous lamps with a Georgian Console or side cabinet and bring the old and new together with a design combination that will be the talk of any visitors to your home.